Add a touch of coastal flair to your interior design with this unique table lamp. The ceramic base is reminiscent of floating seaweed with an organic textured finished in a distressed dark teal glaze. 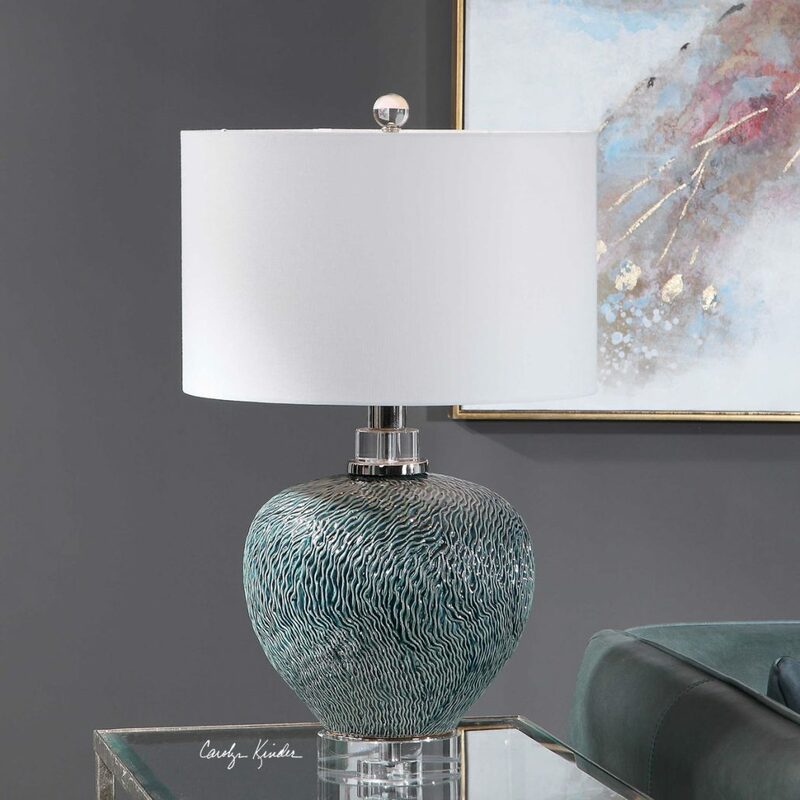 Paired with polished nickel accents and thick crystal details, this stunning lamp is at home in modern coastal or any contemporary setting. The hardback drum shade is white linen fabric. Designed by Carolyn Kinder International. Available to trade professionals at Uttermost.com. Explore retail options for this product using Google Keywords Carolyn Kinder Almera Teal Table Lamp.